In a factory on the coast of British Columbia — BARE, the brainchild of 2 divers determined on creating a drysuit for the frigid waters of the Canadian Pacific Ocean was born. 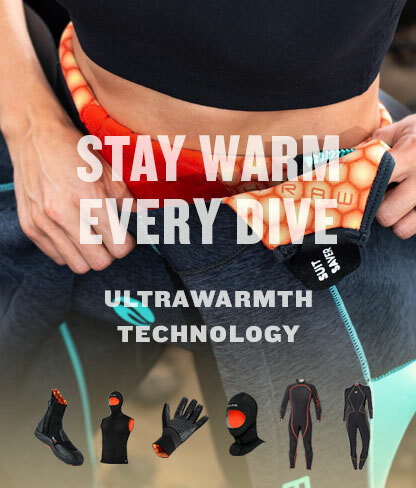 For over 40 years, Bare has honed their expertise and become obsessed in their pursuit of creating wetsuits, drysuits and accessories that meet these requirements. The suit has an attached hood features Celliant lining for additional warmth. 2mm neoprene internal pullover bib for additional warmth and comfort. Front-entry cross-chest heavy-duty plastic dry zipper. 10mm spine and kidney pad to provide extra comfort for tank placement. 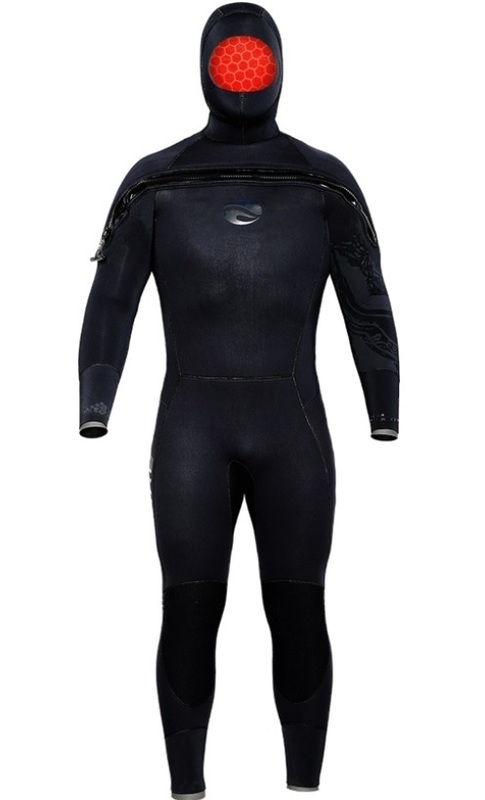 Seamless underarms for superior comfort when worn on its own, with an additional wet layer or with a BCD. Skin-to-skin double 3mm Glideskin wrist and ankle seals. Embossed back knee flex panels to reduce bulk behind the knee when kicking and crouching. PROTEKT knee protection provides the next generation of abrasion and wear resistance. Anatomically correct pattern for three-dimensional fit throughout for superior fit, comfort and mobility. Suits is equipped with heavy-duty ankle zippers for easy donning and doffing. Double glued construction eliminates water entry through the seams.